The loco was coupled to the rake and was all set to make its return journey. In the meantime, we changed our coach, and we were in the 3rd coach from the loco now. This was a 1996 built coach, with refitted cushion seats. We grabbed the emergency exit window bay. Vibin took the emergency window - both of us then began the struggle to open the grill. The superintelligent brains at Shoranur coaching depot had inserted a screw on the panel in such a way that the window wouldn't open, no matter what. This was one very interesting emergency exit window - One rupee coins came to our rescue, as we loosened the screw and pushed the grill up. Finally, our uninterrupted window to the world was ready. A while after we finished this adventure, Vibin suddenly found out that there was a 190 year old rosewood tree in the station premises - both of us headed to see the tree and after a few photos, we were back in the coach. Our train preparing for the returning journey. 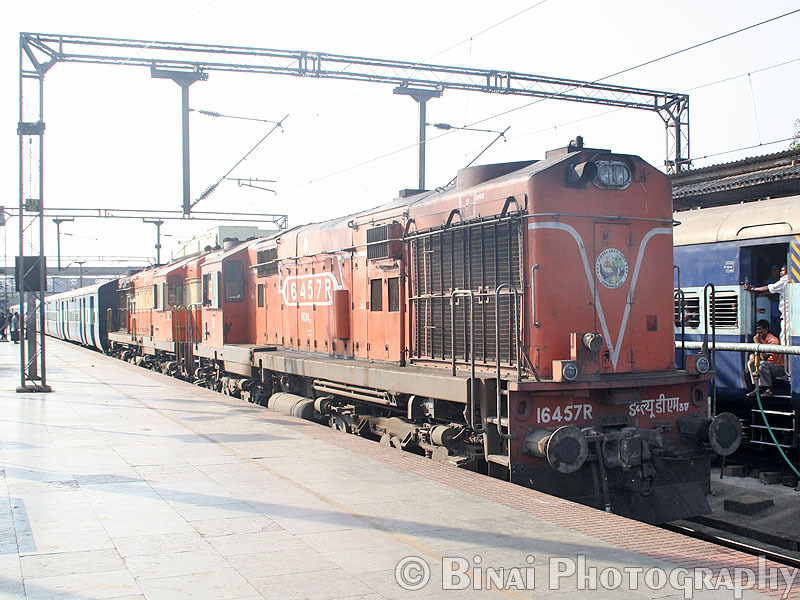 The rake of Rajya Rani Express can be seen to the left. ..I just remembered an interesting thing that happened on our journey to Nilambur. I had mentioned that we got our lunch packets from Shoranur. The three of us got digging into our packets a while after the journey began. A while into the lunch, both Vibin and Jay were busy with nets to see if there were pieces of fish in the fish curry they got from Shoranur. Both us them had a very long fishing session - Vibin got something hard, but that turned out to be a piece of Tomato! Finally, they had Fish curry that did not have any piece of fish at all! 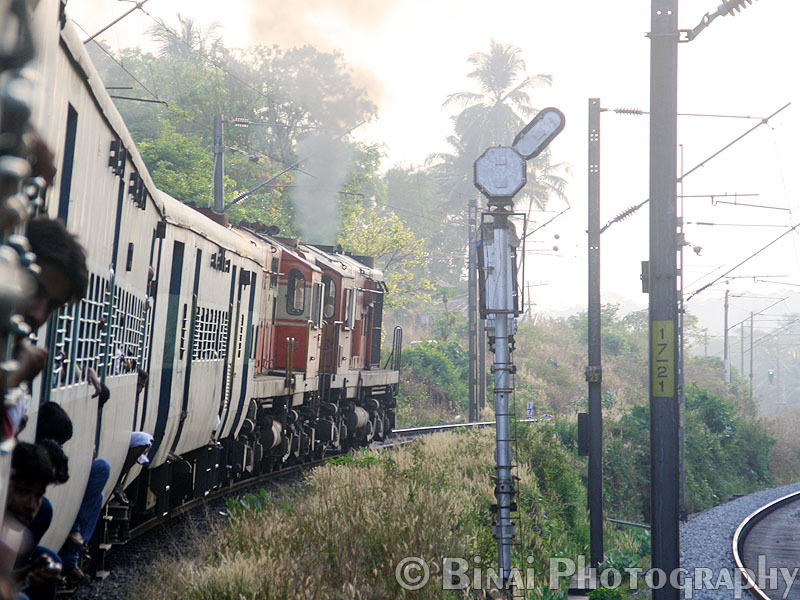 By the time the passenger (56618 Nilambur Road - Shoranur Jn. Passenger) was all set to return. There was decent crowd in every coach. Since the line has very little traffic, the train would stop for passengers at each station. That is, if the guard or the LP spots a passenger running towards the train, the train would wait for him/her. The return journey was relatively eventless, except the fact that the train attracted more and more crowd at every station. We had some co-passengers who traveled all the way to Thrissur and beyond in the same train. We crossed our pairing train at Angadipuram. 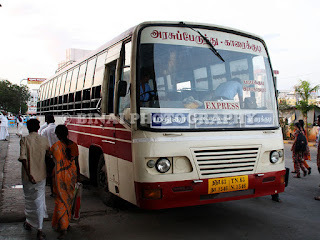 Interestingly, every passenger train would have a crossing at Angadipuram. In our case, we were made to wait at the home signal, while the other train entered the loop. Both the trains departed simultaneously from Angadipuram. By now, Vibin was digging into the railway timetable to figure his way back home. 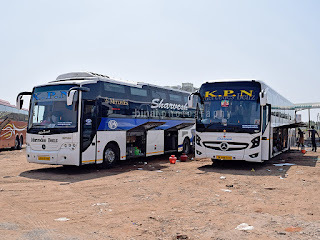 He had purchased a Superfast ticket from Nilambur itself, so he had the liberty of taking the Mangalore-Palakkad intercity from Shoranur - while I suggested him to take the Mangalore-Coimbatore fast passenger. I and Jay were continuing in the same passenger, all the way to Ernakulam! 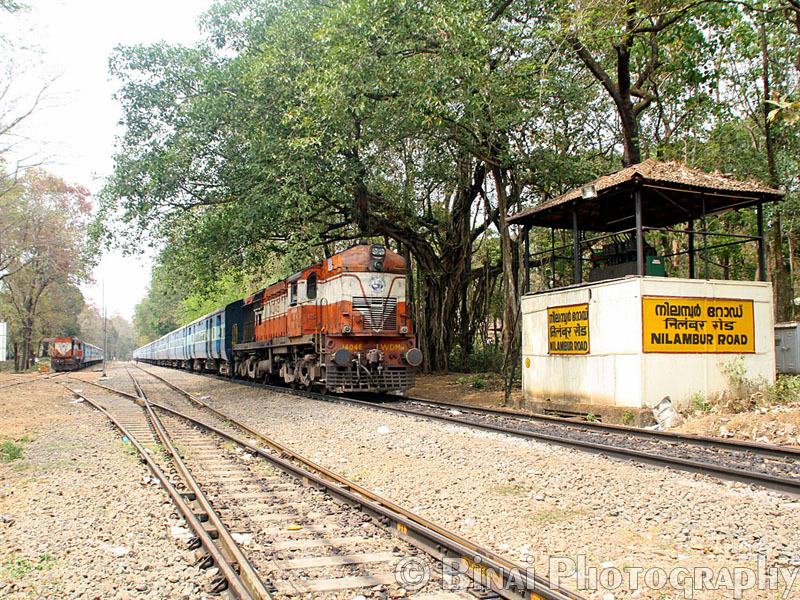 The Nilambur line is a typical branch line, running through remote Kerala villages. The abysmally low ticket rates in trains attract crowds heavily and there would not be a single train that runs empty in Kerala. In our case, we just paid Rs. 25 for a 160+km journey! With a running time of around 5 hours, the cost is surely a killer. The passengers in our train varied from working men/women to school/college students. Most of the return journey was spent chatting, and we hardly noticed the world outside. Our train pulled into Shoranur well before the scheduled time of 1615hrs. We were taken on Platform 4 at Shoranur. The Coimbatore Fast passenger was already on Platform 6, with a WDM3D in charge. Vibin got off our train and rushed to get into the passenger - which departed a long while later. Our new locos coming in. The loco that brought us here can be seen to the right. In the mean time, our loco (WDM3A #14046 of Ernakulam) was detatched, and the loco rushed out of the platform. 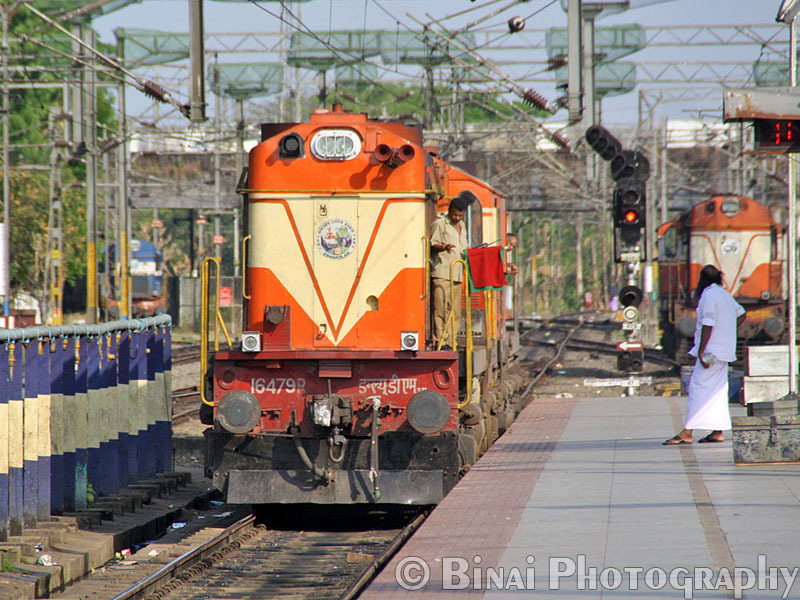 A while later, WDM3A #16457R coupled to dead WDM3A #16479R (both of Ernakulam) came in to work our train. The pointsmen in Kerala do not couple locos to the rake - it is the job of the ALP to perform coupling. The train was full by the time it departed - we had standing passengers in every bay by now. There were 5 passengers on every long seat, and in some bays, passengers were seated even on the luggage racks. The Shoranur-Ernakulam passenger is an office goers favorite, and it always runs packed. 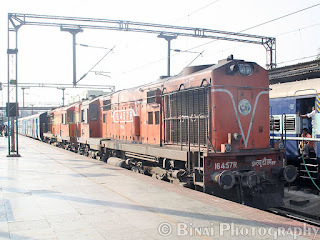 A couple of years back, this passenger used to get an electric loco - with the puny 8 coach load, the WAP4 used to toy the rake around like a toy train. The emu styled braking and pickup is now gone. The run out of Shoranur was eventless - the train crawled out as usual. The train picked up speed soon after we entered the main line. All set to leave from Shoranur. The run after Shoranur was eventless. Our halt at Wadakkanchery was pretty long - we crossed the New Delhi Express soon after reaching Wadakkanchery. 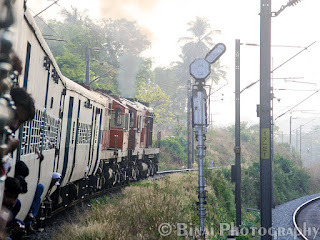 About 5 minutes into the halt, the Guwahati-Trivandrum Express overtook us. We had to wait another 5 minutes for the block ahead to clear. Right after the train got on the main line, the train stopped suddenly - I spotted the ALP getting off the loco and doing something on the rear loco. It was a very quick stop - and we started moving quickly. The coach was jampacked at this moment - every luggage rack had passengers on it, while the long seats had 5-6 passengers each. The train entered Thrissur in style - the usual high speed approach, then a quick brake and coming to a halt at the right point! The crowd eased down at Thrissur. 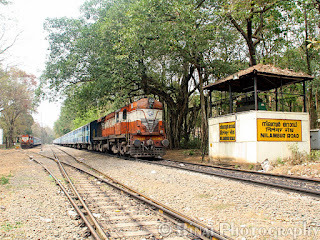 It was my first journey in the Thrissur-Ernakulam section in a passenger train - I was excited about seeing stations that I usually just zip through. Our train picking up speed after Wadakkanchery. It was getting dark as the journey progressed. I was on the lookout for good spots for some train spotting - the Thrsissur-Ollur section had lots of curves and gradients running through fields - I vow to come here once. The crowd remained constant all the way upto Aluva - an equal number of passengers got off or boarded everywhere. The profile of our neighbours changed at every station - a college student giving way to a middle aged office goer, to an older office goer and later to an old lady traveling with her family. This journey introduced me to an amazing spotting location near Irinjalakuda (had been there for a couple of times after this journey). I saw for the first time that Irinjalakuda's starter signals had repeaters. The main line is on a curve and has very poor visibility of the starter signals. I waved in excitement as we reached my favorite hunting location - Koratty Angady. I and Jay were engaged in predicting which train would cross us next - since it was dark, we could not identify any of them, though (except the Jan Shatabdi). Our train more or less emptied out at Aluva. We had a race with a KeSRTC JnNURM Volvo soon after Aluva - the bus driver surely enjoyed the race - we soon reached Kalamassery. The last leg of the journey was eventless. We made the customary halts at Edappally and Ernakulam North. 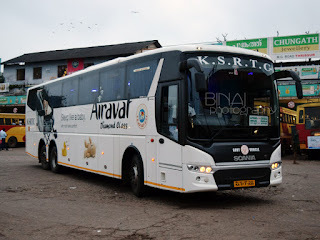 KSRTC stand announced our arrival at Ernakulam Junction - we were received on Platform 1 at ERS. I ended my journey from the very place I started off, 12hrs earlier in the day. That was my longest journey in a passenger train - and also the longest in Second sitting in recent times (the earlier incidence was in the mid 1990s). Traveling by passenger trains in an experience in itself - one gets to see stations in their entirety. In some cases, one would even get to know that there are stations that weren't heard of earlier. The first two months of 2012 has been railfanning packed - hope the rest of the year shows a similar trend.